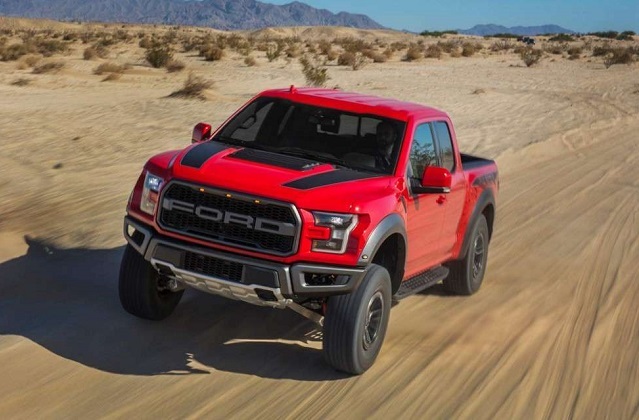 ,While Ford recently disappointed the public with the statement that the mid-size Ranger Raptor isn’t in the plan for the US market, the Raptor version of the best-selling F-150 received the significant upgrades for the 2019 model year. 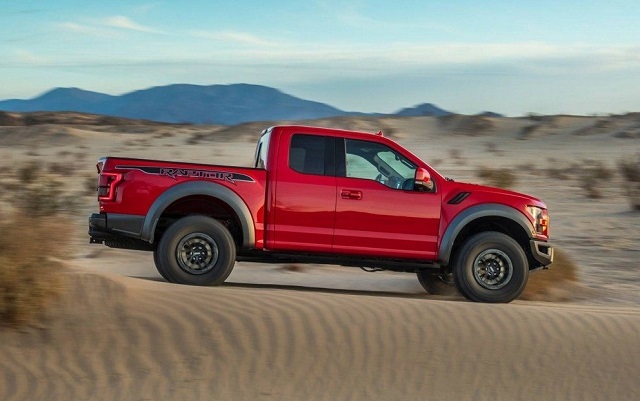 The Raptor’s update followed the refresh of the F-150 range for the 2018 version while Ford offers now the twin-turbo V-6 engine with the Limited trim as well. The Blue Oval Brand hasn’t changed the performance of the mighty bi-turbo V-6 for the 2019 version but the mode benefits from the Track Control system combined with the Recaro seats, new colors and wheel options and electronically adjustable Fox shocks. On the other hand, Ford will bring the hybrid version of the F-150 for the 2020 model year while the company hasn’t promised more updates for the rock-climbing 2020 Ford F-150 Raptor version. After the significant updated for the 2019 version, big modifications are not expected. However, the rumors in the industry are speculating about the new V8 engine option for some time. But, based on the reliable sources, it seems that Ford hasn’t that option in the mind. Ford offers the broad range of the non-turbo, turbocharged and diesel engine options for the top-selling F-150 and the bi-turbo V-6 from the Raptor model is now available in a more civilized version as well. The brand will also provide a more efficient hybrid powertrain option for 2020 F-150. For the 2020 Ford F-150 Raptor the things will likely stay the same as now. The high-output, intercooled DOHC 24 valve bi-turbo 3.5-liter EcoBoost V-6 engine with port and direct injection will again sit under the hood of the Raptor muscle-truck. This engine Ford offers also the in the luxury Limited trim version but the Raptor has the upgraded suspension and components for dominating over the rough terrains. The engine makes 450 hp and torque of 510 lb-ft in the conjunction with the 10-speed automatic transmission. Expect these numbers in the 2020 version as well. The sophisticated engine and transmission unit, Ford will combine with the long-travel suspension setup with the Fox Live valve Shocks. The high-output shocks automatically controlling the suspension damping optimizing it according to the terrain and drive aggressiveness. The Raptor model will also possess the recently introduced Track Control system. The system’s purpose is the controlling of the power and breaking on each wheel which helps the driver to focus on the steering and vehicle control. The system operates at speed up to 20 mph. The Raptor will also rely on the Terrain management System with six Drive modes and all-terrain tires. As for the rumors, the 7.0-liter DOHC V-8 engine with the Direct Injection system has been expected to appear in the 2020 version. The engine should produce around 430 hp in the combination with the 10-speed auto gearbox and all-wheel drive system. However, Ford hasn’t commented on the rumors and no proof that this option is in the consideration. The Ford Raptor has the highly capable off-road gear and the bi-turbo power. With these features, it can challenge the off-road paths. The new model also comes with unique styling. The high-tensile, military-grade steel forms the underpinning, while the aluminum alloy is used for the body panels. Ford distinguished the off-roader with the unique FORD block letters grille and body-color front fascia. The sculpted hood, wider stance and all-terrain tires combined with the suspension lift also boost the model’s presence. The Raptor received the color options for the 2019 version and there won’t be much new on the next version regarding the styling either. Inside the cabin, the Raptor is also the unique story. The model will offer the front bucket seats and 8-way power driver seat. The Recaro Sport Seats with the blue Alcantara inserts will also be available as well as the 10-way front seat power function, heated front and rear seats, driver memory and more. The model will also come with the newest tech features. The Sync 3 infotainment system alongside the voice-activated navigation, WiFi hotspot and Bang & Olufsen sound system will also be in the equipment list. The truck will also include the safety systems like the blind spot monitoring with cross-traffic alert, tire pressure monitoring, etc. The updated 2019 Raptor costs from $52, 855 and the 2020 version should come with the small price corrections. The 2020 Ford F-150 Raptor will join the game in late 2019.